With the theme “Journalism in Crisis. Crisis in Journalism,” this year’s annual Asian Journalism Research Conference 2019 (AJRC) highlighted the need to remain vigilant against so-called fake news, especially amidst disasters and conflict. The UP Symphony Orchestra inspires the audience toward Lenten reflections through its second concert offering for 2019. With the alarming rise of fascist regimes in the world, Nick Deocampo gathers together a number of films in order to interrogate the role that cinema can play in periods of autocratic rule. An international multidisciplinary team, led by University of the Philippines Associate Professor Armand Salvador B. Mijares, discovered a new human species, the Homo luzonensis, from an excavation site inside Callao Cave in Peñablanca, Cagayan. It’s a milestone year for the UP Forum! 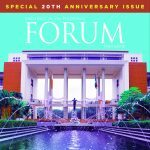 To celebrate the 20th anniversary of its creation as a monthly community publication for and by the UP Community, the UP Forum’s January-March 2019 issue is featuring some of its most notable and relevant past articles. 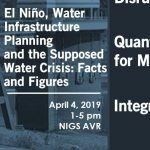 These articles span two decades and focus on still-controversial national issues and reflections on the nature and role of UP as national university. Women’s health and wellness is the focus of the UP Center for Women’s and Gender Studies’ penultimate activity for the celebration of Women’s Month. The mother language of West Visayas, Kinaray-a, and Aklanon which grew out of it, were once considered mere dialects of the vulgar and uneducated. But the literary history of West Visayas took a turn with the emergence of new literature written in Kinaray-a, Aklanon and Visayan-influenced Filipino. Students from the Institute of Civil Engineering, University of the Philippines Diliman won the championship in the Eco-concrete Competition at the American Concrete Institute (ACI) Spring 2019 Convention in Quebec, Canada. 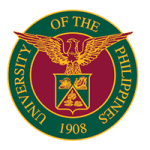 The students used locally abundant Diliman tuff as partial replacement to cement and waste glass in making an environmentally friendly concrete. The students won over schools from North and South America, Europe and Asia. Metro Manila residents have been waking up to waterless days these past few weeks. Although steps have been taken to address the problem, there is still a need to know and understand what is happening.